Her first solo exhibition was in 1983 at the Furness Galleries in Ulverston. She had a long successful association with the gallery until the owners retired. Selling mainly water colours at that time, which are now around the world. Delya was a member of the Barrow Society of Artists for twelve years exhibiting with them twice a year. She also exhibited at Brantwood, John Ruskin's last home in Coniston and in various art and craft shops around the area. On moving to Garsdale in 2004 she was a member of Sedbergh Arts society. 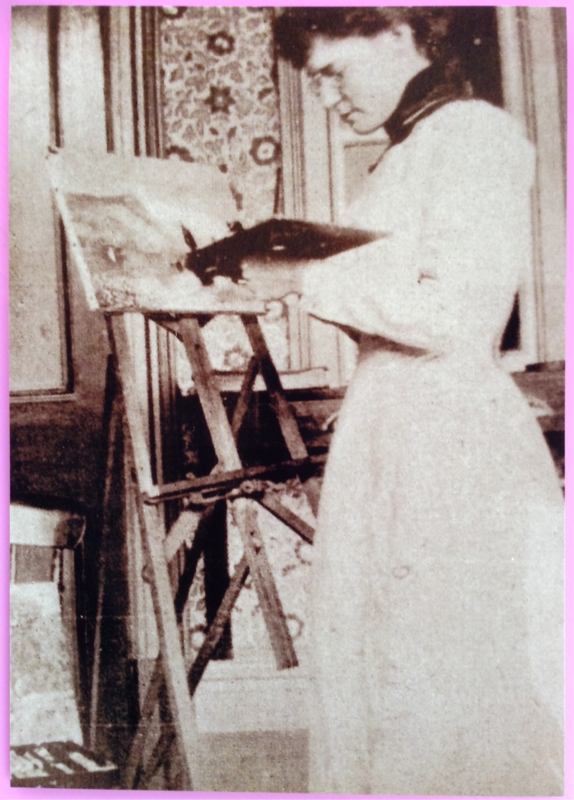 Delya was given every opportunity from an early age to enjoy painting, music and especially singing. Actively she became very enthusiastic about sport and after Grammar school went to Bedford College of PE where she studied Physical Education with Dance and Drama.. After 6 years teaching she changed course and became a social worker (Dip.S.W.) B.Sc (O.U.) in Social Sciences. She thought herself very privileged to work in such a beautiful area as South Lakeland and water still plays a large part in her work. The sepia photograph is of Arabella Cordelia Hornsby her grt. grandmother. Who worked in Paris in the Edwardian era. 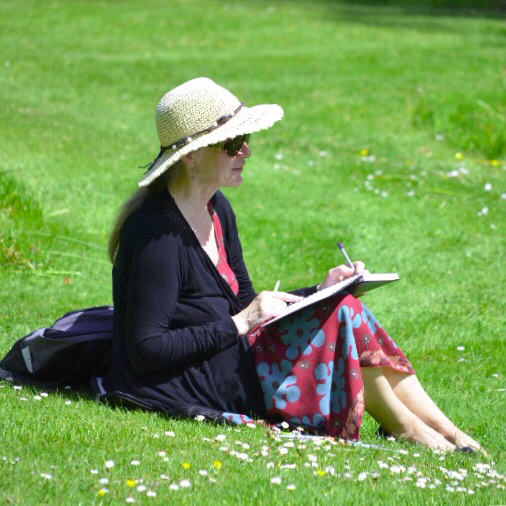 ​On moving to Kirkcudbright in 2007 Delya started exhibiting in her studio, at Chattan House during the summer and taking part in the Arts and Crafts trail. In September 2016, Delya became a full time Artist. She uses mainly watercolours, acrylics and mixed media, and is developing her style in new and exciting ways. From September 2016 to March 2017, Delya attended a course at the Glasgow School of Art to upgrade her portfolio with tutor Donald Sutherland. She had a successful exhibition at the Tolbooth Art Centre in Kirkcudbright in August 2017 and 2018..